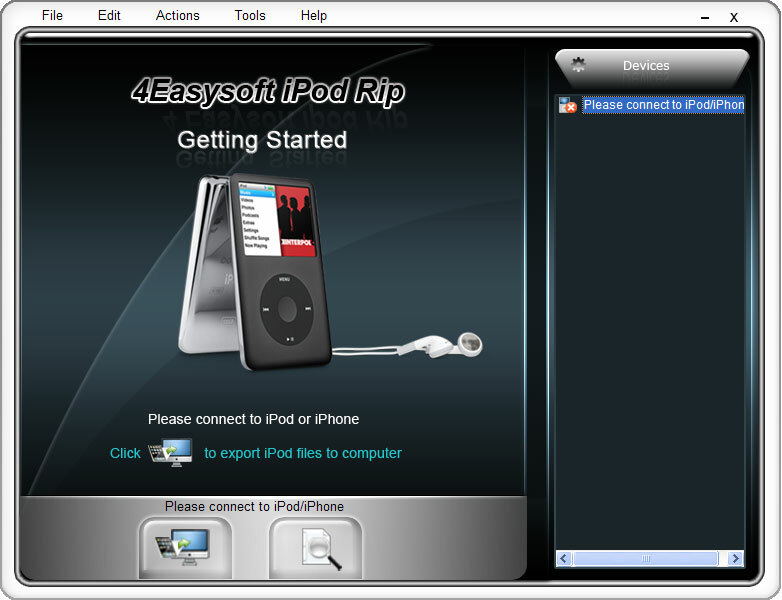 4Easysoft iPod Rip, professional iPod ripping software for iPod users, which can rip iPod video, audio, photo, etc. to computer directly so as to keep your iPod files safely. When you connect your iPod to computer, the iPod Rip can discern your iPod info automatically and display on interface, like type, capacity, version, etc. Moreover, this iPod Rip totally supports different iPod, iPhone versions. 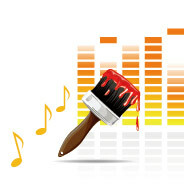 Includes iPod Manager and iPhone Ringtone Converter, which can rip iPod/iPhone to PC, import local files to iPod/iPhone directly, transfer between iPods, between iPhones. Now this software pack has just been upgraded. Now it highly supports iPad/iPhone 4G and iOS 4. 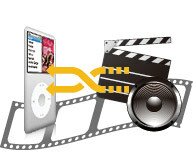 Easy iPod Rip to help you rip iPod files like video, audio, photo, etc. to computer as the database. You can use this iPod ripping software to rip files for iPod, iPod nano, iPod classic, iPod touch, iPhone, iPhone 3G, iPhone 4, iPad, etc. Once connecting the iPod to computer, 4Easysoft iPod Rip can recognize the info of iPod, such as type, capacity, version, serial number, format, etc. Checking "Search" can help you quickly find the file you want to rip to computer by Genre, Artist and Album. 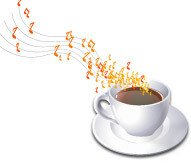 4EAsysoft iPod Rip has the interface, which is convenient for your operation and can bring you much enjoyment. Just two clicks can finish the iPod file ripping process. Advanced technology makes the speed of iPod file ripping to computer super fast.